I get this question all the time, "why did you change to vegan"? Well, that's an interesting question, so here's the answer. I did it for health and moral reasons. I was not always vegetarian and had eaten meat for much of my life. Additionally, I had been vegetarian for extended periods throughout my life and it was not really an issue, but dairy was something that I was never willing to give up. I thought I could never part with my beloved cheese. Then I had a few transformational moments and decided to give it a go. Firstly, I was constantly getting chest infections and often this turned into pneumonia. After having my 4th bout with pneumonia in less than a year, my doctor suggested I give up dairy, just until I could get over the pneumonia. Dairy, as you may or may not know, produces a lot of mucus, so if you already have an issue, adding more is not a good thing. So, I completely gave up dairy for two weeks and the difference was amazing. I felt better, less congested and most of all, my digestion was better and my heartburn, which had always been an ongoing issue, was 100% gone. I thought to myself, this is incredible. As I studied more about my diet, I decided to reread an amazing book which I had read years earlier. 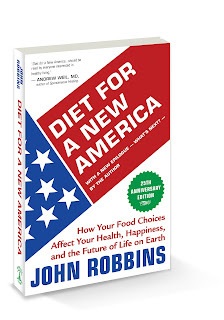 "Diet for a New America" by John Robbins. 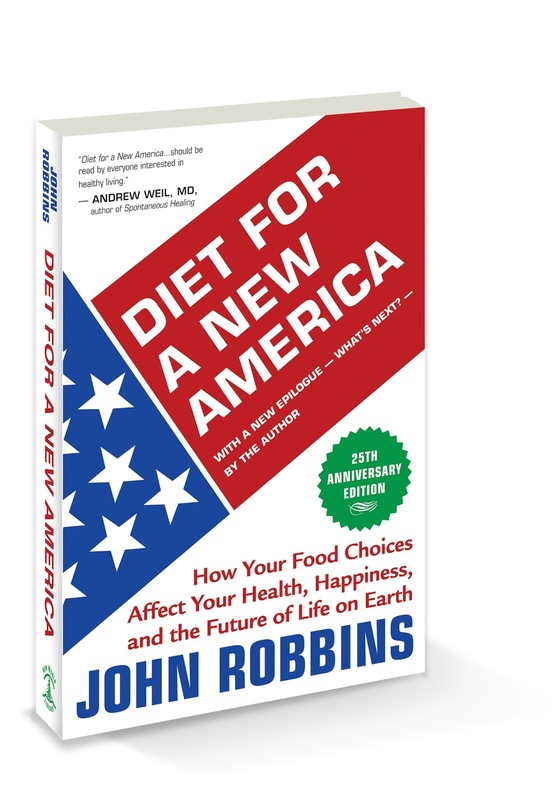 This book gives no holds barred overview of why our diets are making us and our planet sick. It's well written and I highly recommend it to anyone. Some might say, what can one person do, but the journey begins with a step and each person making small changes can have a huge impact. We can all have an impact with the choices we make, so this was my choice. So after three years, here's what a vegan diet has done for me. I am 60 pounds lighter. I rarely get chest infections any longer and if I do they pass much more quickly. By reacquainting myself with my body and a healthier way of eating, I now regularly work out and for 55, I'm in pretty good shape. Live life, eat great food and be healthy!